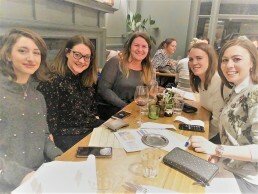 We did a pub quiz as a corporate event for our clients and I have never had so much positive feedback for an event! It was a great night. Jez had the crowd eating out of his hand. You could hear a pin drop during the final “Quiz Off” at the end! Pub-style quizzes are an easy, entertaining option for any group gathering. Contact us today to learn how the party options offered by The Quiz Team can help make your next event fun for everyone!